Good news! Later just released an emoji keyboard that you can access while writing your captions! 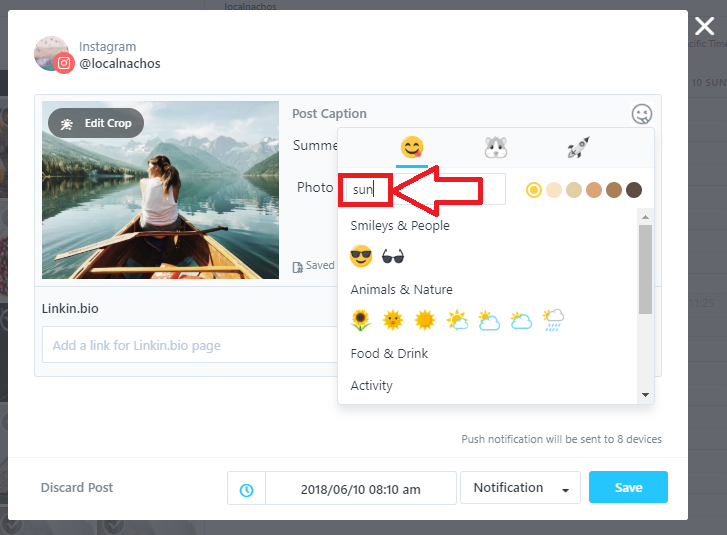 Once you find the right emoji, just click on it to add it to your post!